One of the biggest trends of 2016 was marble accents. They paired well with the Pantone Duo of the Year (Rose Quartz and Serenity), they were huge in the luxurious transformation of homes, and they brought a classic touch to many modern spaces. We thought we’d reminisce on the beauty of marble in some note-worthy spaces, while also offering some inspiration to carry over this popular trend into 2017. Luckily there is no limitations to the amount of marble you bring into your space. We thought it beneficial to show you the full spectrum by starting with accent marble pieces. A table lamp with a marble base can fit into almost any interior design. Paired with the gold, this lamp is classic and modern in its straight lined structure. This balances well with the organically shaped statues. 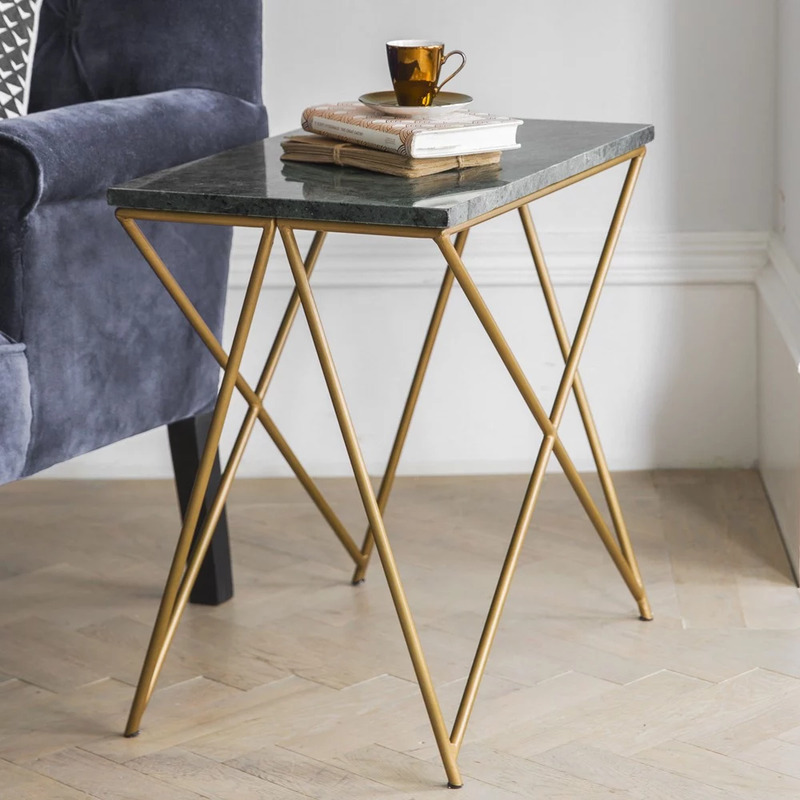 As we take a step back, we notice the use of a slightly larger marble piece: the accent entryway table with a white marble top and gold leaf finish. The white marble is clean and modern but allows the classic style to still be present in the space. Here we see another take on the accent table but one that is made for a living space. The perks of this natural beauty is it is durable and there is no need for coasters because this elegant surface will withstand any drink, hot or cold. So long water rings and clean up for this side table. Not to mention, the matte gold finish pairs well with this black marble top. On to something a bit more permanent, this master bath marble counter top is timeless and exquisite. This space has a brightness to it that makes it feel clean and airy, just as many individuals strive for in their master bath design. This classy touch to a modern space will endure any passing of time. We’d love to hear about your favorite marble application, whether you have already brought this luxurious material into your home, or if you are just looking for a way to make it a new addition to your space.